Gentarou is the younger brother of Shoutarou and is pretty much the complete opposite of his older brother. Unlike Shoutarou, his patience and composure is very thin and if he sees something interesting, anything at all, he will go and have a look even if it means walking straight into an enemy base. His lack of self control and overall selfishness is what might compromise the missions he is sent out to do. 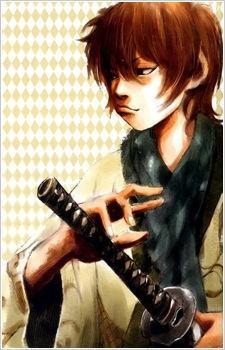 Yet even when he becomes an accomplished swordsman, he merely becomes overly arrogant.